Whilst away, I came upon this piece in the following of my offseason baseball news. 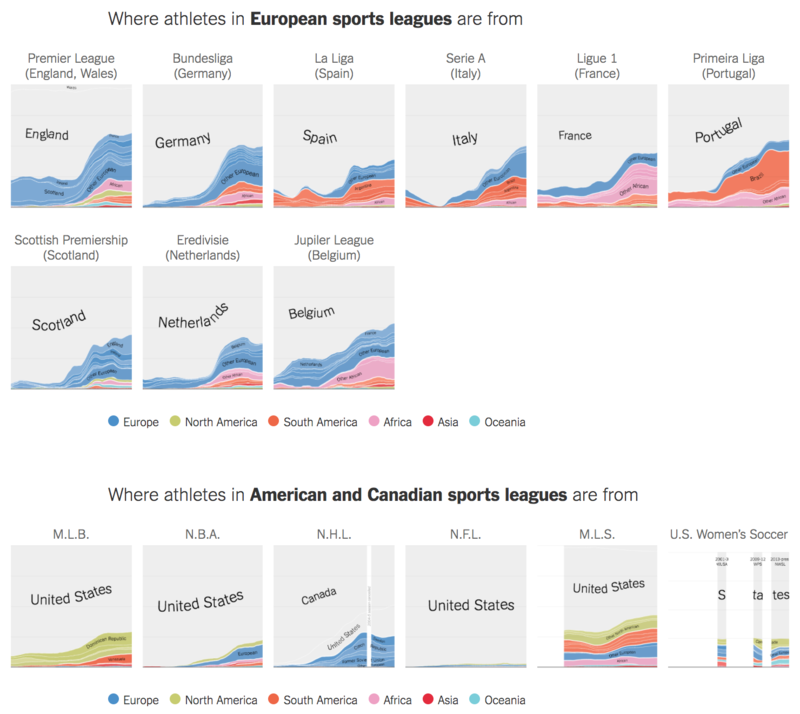 The New York Times published it between Christmas and New Years and the piece looks at the origins of sports persons in European football leagues compared to several American sports leagues, including American football, baseball, and basketball. The piece features an opening set of small multiples comparing all the leagues. Maddeningly, I wanted details and mouseovers and annotations at the start. Fortunately, as the reader continues through the article, each small multiple becomes big and the reader can explore the details of the league. Credit for the piece goes to Gregor Aisch, Kevin Quealy, and Rory Smith. If you guys have not yet figured out, I am a baseball guy. But that is pretty much my only sport. And so maybe you can help explain to me just what is going on in today’s piece from the Boston Globe. 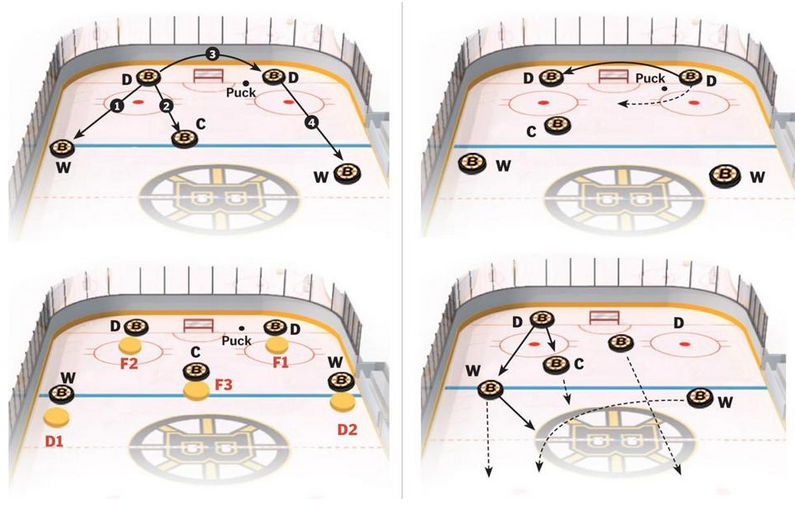 I think it is attempting to explain hockey formations for the Boston Bruins. Credit for the piece goes to Joe Moore.